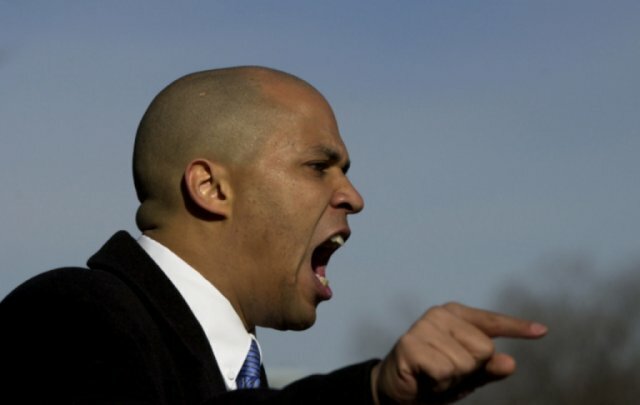 Fought in Newark's neighborhoods and housing projects, the battle pits Booker against an old style political machine that uses any means necessary to crush its opponents: city workers who do not support the mayor are demoted; "disloyal" businesses are targeted by code enforcement; a campaigner is detained and accused of terrorism; and disks of voter data are burglarized in the night. Even the filmmaker is dragged into the slugfest, and by election day, the climate becomes so heated that the Federal government is forced to send in observers to watch for cheating and violence. The battle sheds light on important American questions about democracy, power and -- in a surprising twist -- race. Both Booker and James are African-American Democrats, but when the mayor accuses the Ivy League educated Booker of not being "really black" it forces voters to examine both how we define race in this country. "We tell our children to get educated," one Newarker says, "and when they do, we call them white. What kind of a message does that send?" Street Fight tells a gripping story of the underbelly of democracy where elections are not about spin-doctors, media consultants, or photo ops. In Newark, we discover, elections are won and lost in the streets.